Protecting your kids in and around vehicles can sometimes be a challenging task. It’s important for parents to know about the potential child safety risks involved in and around cars, because stress levels are often higher for both child and parent – especially while driving, which can create a dangerous situation. While some of these tips may seem obvious, you’ll appreciate the refresher. Whether your infant is crying or you’ve got two bickering siblings in the backseat, never take your eyes off the road, no matter what’s happening behind you. Speak calmly to the kids in the backseat, which may help soothe them. If that’s not working, find a safe place to pull over, even if you’ll lose what feels like valuable travel time. After all, it’s much better to be late and safe than to not arrive at all because your car has been totaled. You may want to enforce clear safety rules for your kids to improve car behavior, thus minimizing distractions. When choosing a car seat for your child, there are a few factors to keep in mind. First, your car seat should fit your child; second, it should fit your vehicle; and third, it should be easy to properly install at all times. When car seats are missing, defective, or installed incorrectly, the risk to your child increases exponentially. If you’re not sure how to install an infant or toddler car seat, get it checked out. Your local police or firemen are always available to check on your car seat, ensuring proper installation. They may offer fast and simple instructions for installing it yourself. As you can imagine, car seats come in different shapes, styles and sizes. There are some geared to infants, while others are designed for toddlers. Additionally, all infants, toddlers or newborns are not the same size, so even though there are models geared toward a particular age or size, you will likely still need to make some adjustments to your seat. You want your baby to be fastened in securely, not casually wearing a seat belt like many adult drivers do. So what is the first thing you should do when getting a car seat? Make sure you select the right one. Don’t get one that is too big and think, “Well, my child will grow into this.” A car seat is not the same as a pair of pants. When your child is a newborn, you need a car seat he or she will be secure in, as well as comfortable. If you are looking for some video tutorials on installing the various types of car seats, head over to Parents Central, as they have several videos highlighting installation techniques for various styles. 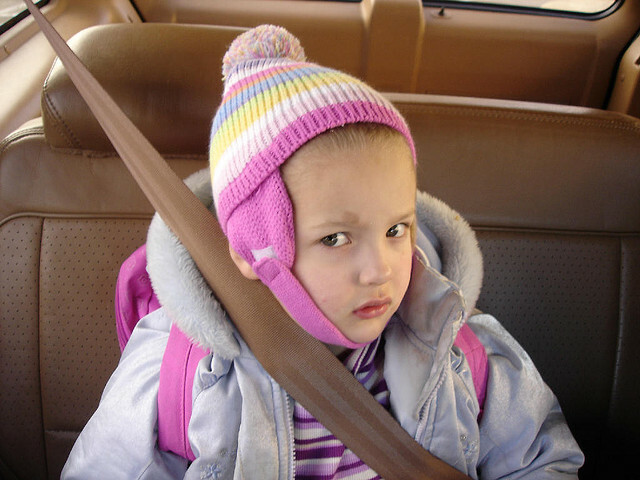 Getting a car seat that is outdated or damaged. Using a car seat that isn't the right size for your child. Buying a car seat from a poorly reviewed company. Using the car seat as a crib. Whether your child is playing near the driveway or you need to bring your kid on an errand, always make sure your children are present and accounted for. Never leave your child unattended in a car. On hot days, it could only take a few minutes before the inside temperature of the car reaches severely hazardous levels, which can cause injury or death. Even if you’ll only be gone a minute, bring your child with you. There are other ways children can be hurt while unsupervised in or near a car. Make sure your children are out of the driveway before you start backing out, thus preventing a back over incident. Never let your child enter the vehicle or trunk unsafely. When unnoticed, children can become severely injured or die from heatstroke and/or asphyxiation, so keep them out of the car until it’s time to go somewhere. How do you ensure your youngins are safe while in the vehicle? The post is nice and very informative. It will surely help those are in need.